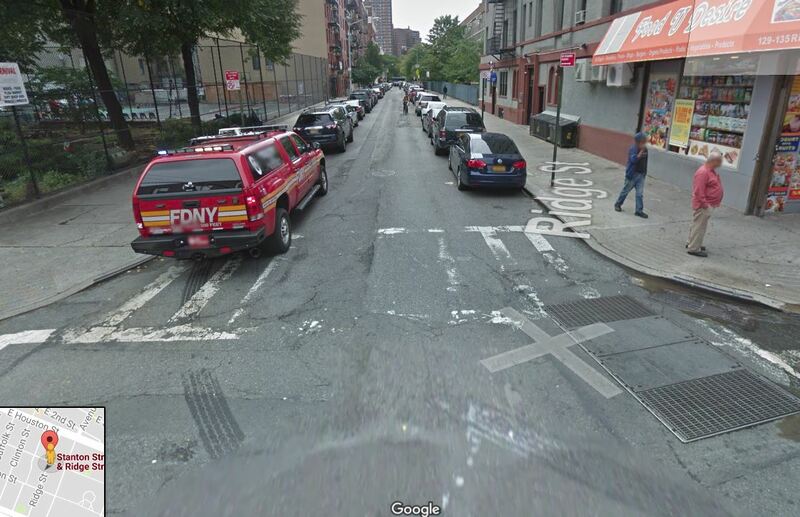 A cyclist suffered serious personal injury after she was struck by a dump truck in New York on Wednesday night. The bicyclist, a 50 year old registered nurse was riding her bike on Ridge Street in the Lower East Side when she was run over by the truck. The dump truck, a dump Master 10-wheeler was making a right turn from Stanton Street onto Ridge Street when it hit the cyclist. According to the NY Daily News, the victim was run over by the truck’s front wheels. A medical student who was visiting from Dallas heard the noise of the crash and the nurse screaming. He ran to the rescue. Both her legs were stuck under the wheel but she was still conscious. The medical student identified as Sam Ahn stayed with the victim and comforted her until the emergency crew arrived. She was rushed to the hospital in serious condition. She may loose a leg according to the police. The truck driver, 45 year old Juan Cosme, stayed at the scene of the accident. The police found out that he was driving with a suspended license. They took him into custody and charged him with driving with a suspended license.